When Claire Firestone’s mother was diagnosed with cancer, conventional medications failed to provide much relief. She started researching the benefits of cannabis products and found that it was far more helpful in her mother’s battle, she said. As a result, Firestone, 29, became a medical cannabis caregiver, and developed an empathetic connection to its power to aid cancer patients. 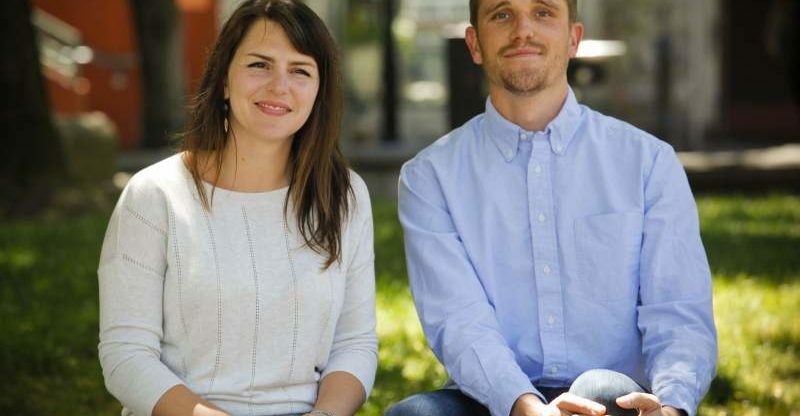 Last month she and her partner, James Clark, were selected as Petaluma’s first-ever cannabis delivery retailers. Around the time Firestone was caring for her mom, Clark, 28, had left his job at an elderly care facility in Marin County, and also started seeking out the cannabis industry to identify a career that provided relief to others in pain. “We were kind of on these two separate paths within the industry and realized that we wanted to build something together that had the vision we both had,” Firestone said. During her search for products for her mother, Firestone found staff at dispensaries were often ill-equipped to answer specific questions she had, particularly as she comes from a background in biology and chemistry. Firestone put the onus on herself to research cannabis to her own high standards and that became a defining attribute of their delivery service for Petaluma, Farmhouse Artisan Market or FAM. Clark and Firestone, romantic partners who make their home in Petaluma, said FAM will provide a high-end customer experience that allow patients to interact with staff members online as well as over the phone. The ownership group is targeting vendors that employ ethical growing techniques that focus on their environmental impact, as well as the patient’s experience with their products. FAM wants to create a line directly to farmers, so customers can see who and where their products are coming from. The flower will come from “small farmers” throughout the North Coast, including Sonoma, Mendocino and Humboldt counties, Clark said. FAM also wants to create a bridge to local businesses outside the industry, and provide organic opportunities to sell products beyond cannabis that fit into their culture of seeking a better quality of life. 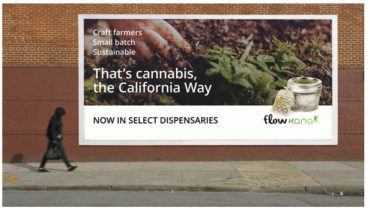 “We want to make sure cannabis becomes part of a larger conversation around shopping local and knowing your farmer and having an active, healthy lifestyle,” Firestone said. The city submitted a request for cannabis delivery proposals in March and fielded replies from seven companies by the April 3 deadline, according to a staff report from Economic Development Manager Ingrid Alverde. Using a series of specific criteria, including business experience, financial stability and security plans, the city whittled down the competition to four finalists. The top four, Luma, Rhizome, Rx Family and Petaluma Holistic Group, were offered interviews with a panel that featured Alverde, interim planning manager Jeff Bradley, two local business owners, and San Rafael Economic Development Director Danielle O’Leary, who has extensive experience applying state and local regulations to cannabis businesses. Clark and Firestone, the principal owners of Rhizome, were the only company out of the final four to pass scrutiny and earn a future permit. A representative of the fourth finalist that was turned down spoke at Monday’s council meeting. Michael Taylor, co-owner of Ukiah Valley Holistics expressed dismay at the city’s decision to pass on his proposal because of perceived financial instability. City council spent the better part of 2017 molding its cannabis policies and decided storefront dispensaries would not be permitted, but two delivery services and an unlimited number of edible and topical manufacturers could set up shop in six specific business parks. The owners of FAM operated a delivery last year called Pacific Medicinals, which served Sonoma, Marin and Napa counties under medicinal marijuana laws. But once Proposition 64 was approved by voters in November 2016, allowing adult-use of marijuana, cannabis businesses needed state-issued licenses to continue operating. Pacific Mendicinals opted to start fresh under the new laws and officially shut down Jan. 1. When Petaluma began shaping its own cannabis policies, Firestone and Clark, two North Bay natives, said they didn’t look anywhere else. The next step for FAM is locating a home for the business. After that, they’re hoping to be fully operational and serving Petaluma this fall as the only cannabis retailer – at least for now.